* ... THE PORCH: Every family has that aunt or uncle who can tell a story and leave you in stitches with laughter. And now there's a new effort in town to bring back the lost art of story telling, and it will kick off this Thursday, April 21, at the Bakersfield Museum of Art. This is all the bran child of the museum's David Gordon, who is looking for folks who want to tell a true story in front of a live audience. "Stories must relate to the theme and must be in story form – no random thoughts or observations. True stories only (honor system) and no stand-up routines, notes or cards. Strictly the spoken word. Stories can be funny, sad, incredible, poignant - whatever direction your story takes. The time limit is 5 minutes. A panel of judges will rate the stories on a scale of 1-10. First place winner receives a prize. Winners of the first series of story throw-downs (to be held over the next year) will go on to a Story-off and compete for even better prizes!" he said. The throw down will run from 7 p.m. to 8:30 p.m. and the cost is $5 per person." * ... COFFEE: Had a few readers ask where they could buy Covenant Coffee, roasted by a local organization who uses the profits to help foster children in Kern County. Covenant gets its coffee from Africa, Mexico and other countries but sells it locally. You can order exactly what you want through its website (www.covenantcoffee.org) or visit Covenant's local offices at 1616 29th Street. 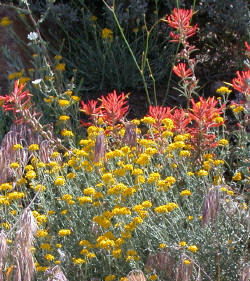 * ... WILDFLOWERS: It's that season again to view our famous wildflowers, and they are out in abundance along the bike path headed west toward Enos Lane. And so is the water. The recharge basin is brimming with wildlife almost the entire way to Enos Lane to Interstate 5, and it's worth a visit. With that said, apparently there was so much rain this year that the high grasses are choking off the wildflowers along the Grapevine, which is always a spectacular sight. * ... SPOTTED: Young woman in a new red Ford Mustang, turning west on California Avenue from Oak Street while blissfully texting on her cell phone, nearly running two cars into the oncoming traffic. 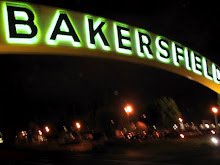 * ... RADIO: There are some amazing things happening in downtown Bakersfield these days: new restaurants, an emerging arts district, a fresh new spirit that brims with confidence. One of the urban pioneers behind this transformation is Don Martin, the owner of the Metro Galleries art boutique on 19th Street. 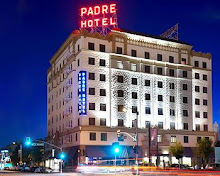 I'll be interviewing Don this Friday at 10 a.m. on "Californian Radio" on SmartTalk1230 about the changes downtown. Can't listen at work? You can download a free application that allows you to listen to the radio on your cell phone. Just Google or search for "Tune In" to download the app. * ... ST. FRANCIS: The annual barbeque to support the St. Francis Parish is set for Thursday, April 28, from 5 p.m. to 8 p.m. This is always a good evening to mingle with Monsignor Craig Harrison and dine on some excellent steaks, fettuccine alfredo, green beans and salad. This is an adult only affair and tickets are $25 each. Contact (661) 327-4734 for tickets or stop by the office at 900 H Street to buy tickets. * ... WHO KNEW? 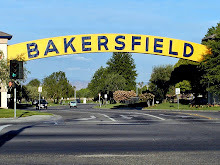 Kern County experienced its own gold rush in 1851 when gold was discovered on the Kern River. One of those who sent teams to mine the gold was John C. Fremont, known as "the Pathfinder." When will 1230 be available online. Can't listen otherwise. 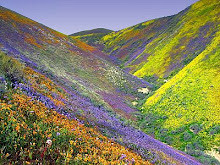 Are those really wildflowers pictured? You can stream the audio on the SMARTTALK1230 website (just Google it) ... the wildflowers photo is from a few years ago...wish it were so rich this year! Actually the real downtown urban pioneers are Dagny's Coffee Co.,the Spotlight Theater, and Chris Vanderlei Gallery. They all did great business downtown long before the Metro Galleries opened. And don't forget The Jill Thayer Gallery at the Fox, the original downtown art gallery serving the art crowd about 10 years before Metro opened. I tried to find some way to listen live to 1230 as you instructed and could find a working link with streaming audio. Would you mind providing a link?